Today is "Homemade Living" Wednesday! 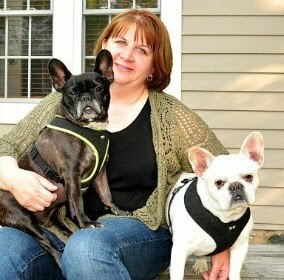 I am working with 5 other bloggers, posting in this series which will appear every Wednesday. We each post every other week. I hope you'll join us! I love fresh veggies and in the summer I enjoy them in their natural state - washed, peeled and ready to eat. So whether I'm mixing up salads or just a bowl of chopped fresh veggies, I use these dressings to drizzle over dishes all summer long. These are great hostess gift ideas, or if you participate in food swaps they would make great swapping items. Many of the dressings can do double-duty as meat marinades too! In my last Homemade Living Series post I shared a lengthy list of the homemade spice/herb mixes we use, and many of you let me know you found this very helpful so this week I thought I'd share some of the homemade salad dressing recipes we use. This is my dressing recipe library - I'm hoping you'll find new recipes to add to your own! Place all ingredients in a glass jar with tightly sealed lid. Shake vigorously to combine. Store in the refrigerator up to 1 month. Place the yogurt, vinegar, garlic and feta in a blender and process on high 30 to 60 seconds, until smooth. With the blender running, add the oil in a steady stream. Add the basil leaves and blend for about 15 seconds, until smooth. Season the dressing. Store in the refrigerator up to 1 week. Place the vinegar, orange juice, basil, onion, garlic, mustard, a pinch of both salt and pepper in a blender and process 30 seconds, or until smooth. Add the yogurt and process 10 seconds. With the blender running, add the oil in a slow, steady stream. Store in the refrigerator up to 1 week. Place all ingredients in a glass jar with tightly sealed lid. Shake vigorously to combine. Store in the refrigerator up to 2 weeks. Place all ingredients in a glass jar with tightly sealed lid. Shake vigorously to combine. Store in the refrigerator up to 3 days. Combine tarragon, lemon juice and water in a small bowl and let sit 15 minutes. In a blender, blend the tarragon mixture, mayonnaise, sour cream, parsley, garlic and anchovy 30-60 seconds, or until smooth. Transfer to a bowl and stir in the chives, season with salt and pepper. Store in the refrigerator up to 2 days. In a blender, combine vinegar, sugar, onion and mustard and blend 60 seconds, or until smooth. With the blender still running, add the oil in a slow, steady stream. Transfer to a bowl and stir in the poppy seeds. Store in the refrigerator up to 1 week. Heat pepper and oil in small saucepan over low heat until faint bubbles appear. Gently simmer, swirling pan occasionally, until the pepper is fragrant, about 7 minutes. Remove from heat and allow to cool to room temperature before continuing. In a medium bowl, whisk together sour cream, mayonnaise, milk, mustard, vinegar and garlic. Gradually whisk in the pepper mixture until incorporated. Season with salt. Store in the refrigerator up to 4 days. In a small bowl, combine 1/4 cup the canola oil with the shallot. Microwave until the shallot is softened, about 2 minutes. Allow to cool 7 minutes. In a blender, combine shallot mixture, ketchup, remaining 1/4 cup canola oil, vinegar, sugar, salt, chili powder and celery seed and process until smooth, about 30 seconds. Store in the refrigerator up to 1 week. In a blender combine the mayonnaise, parmesan, anchovy, lemon juice, vinegar, Worcestershire, mustard, garlic, salt and pepper until smooth, about 45 seconds. With the blender running, add the oil in a slow, steady stream. Store in the refrigerator up to 2 days. In a blender, combine garlic, shallot, ginger, mustard, soy sauce, maple syrup, and vinegar until well blended, 30-60 seconds. With the blender running, add the oils in a slow, steady stream. Add seasonings to taste. Store in the refrigerator up to 3 days. Place all ingredients in a glass jar with tightly sealed lid. Shake vigorously to combine. Store in the refrigerator up to 1 week. Place all ingredients in a glass jar with tightly sealed lid. Shake vigorously to combine. Store in the refrigerator up to 4 days. In a medium bowl, using a fork, mash the blue cheese, buttermilk and garlic together until the mixture resembles cottage cheese. Stir in the sour cream, mayonnaise, vinegar, sugar, salt and pepper. Store in the refrigerator up to 4 days. Stir before using. 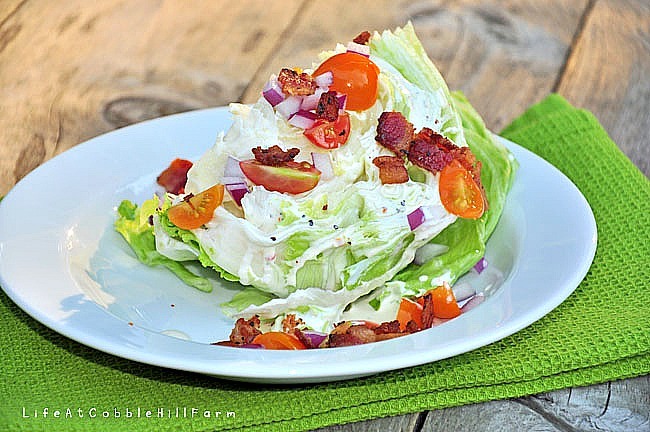 The wedge salad looks so crunchy and yummy! Diane - I love wedge salads!! Especially when the garden is full of yummy things to add. Tammy - you are too funny. :) The yogurt-feta is scrumptious!! Wow, how generous of you to share all these recipes! 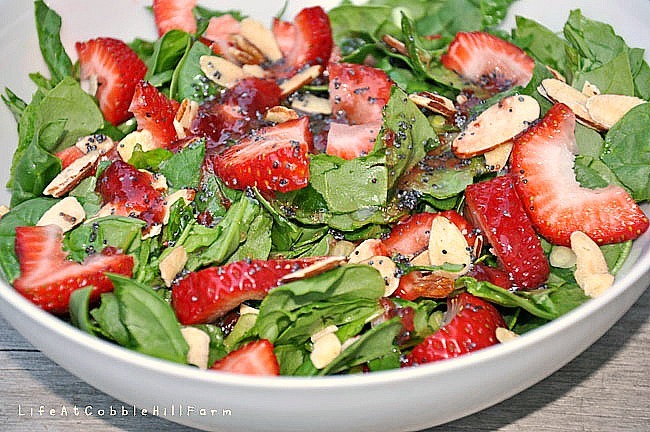 I want to try the Peanut Dressing with Thai Basil and the Raspberry Vinaigrette! Oh gosh they all sound so good. We've been having balsamic vinaigrette lately but I've been seriously craving blue cheese. Need to get my hands on some blue cheese! Also - that's a lot of link ups! LOL! OK, I'm officially drooling out of control with those pix and recipes. Thanks for sharing! There are quite a few here I want to try. How generous of you to share them with us. The photos are pretty awesome as well. Staci, what a great post, thank you! We are eating much more healthily around here, and this will just come in so handy. Thanks again! WOW! 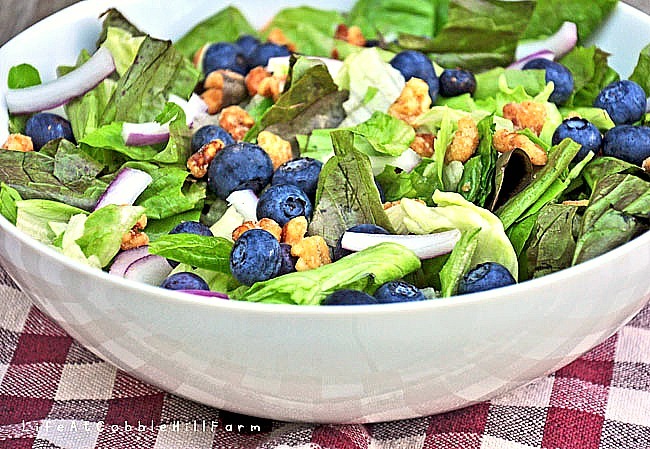 What a great list of homemade salad dressings. I will definitely be referencing this quite a bit! Thank you for sharing. I love making my own salad dressings and have bookmarked this for some more ideas! Thank you for publishing all of these! I am always looking for salad dressing that are made from scratch. I pinned this for later and am so excited to try these. Perfect timing now that I'm starting to harvest some of my garden veggies. Love fresh salads and homemade dressings. Wow, your salads look so good and homemade dressing is the best! Love all the recipes all in one place! I'll be bookmarking this for further use. :) Thanks for sharing over at the Homeacre Hop! Hope you join us again soon! Great recipes. I abhor bottled dressing and always make my own. Thanks for extending my rotation. Am I missing something? The very first recipe, Light Balsamic, has no balsamic vinegar, or any acid, in the recipe. Is this correct? Thanks again.